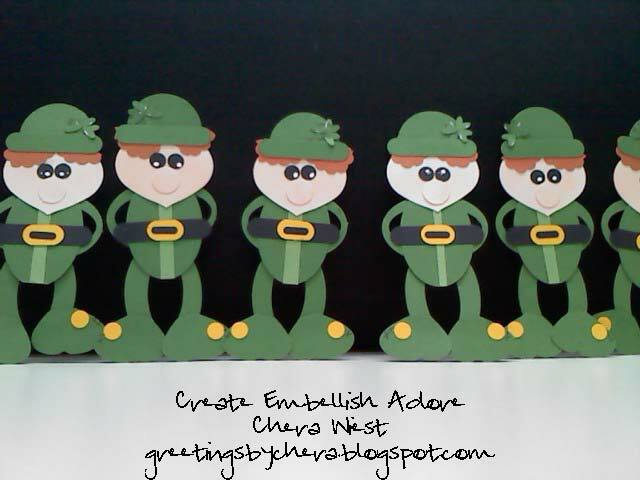 Create Embellish Adore: Happy St. Patricks Day! I love little games like this. Thank you Ellen Kemper for your inspiration! Maybe after lunch I will move them around again! that is too funny, how clever and what a fun game to play! Your little green men are stinkin' cute, love the idea of moving them around, it must seem like an invasion.